From the 11th to the 13th of November, 2016, the Rhode Island Comic Con will be celebrating their fifth anniversary. Held at the prestigious Rhode Island Convention Center, near the Dunkin Donuts Center, the con boasts all the usual things you can expect from a con of this size. Things like gaming competitions, cosplayers, special events, panels, discussions, comics, nerds, artists, writers, actors, celebrities, musicians, as well as Wonder Woman, Bruce Wayne's Dad, plus that scary looking lady from Underworld. Gal Gadot, the Israeli actress and model who won the title of Miss Israel in 2004. She made her film debut in the fourth film from the Fast and the Furious franchise, playing Gisele, and since then her role was expanded upon in the sequels, Fast Five and Fast & Furious 6, in which she performed her own stunts. 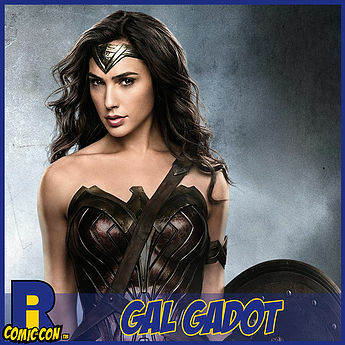 Quite recently, Gadot was cast as Wonder Woman in Batman vs Superman: Dawn of Justice. Essentially the film is part of the DC Extended Universe in which Gal will also play the role in the solo film, Wonder Woman, plus the ensemble film, Justice League, both due out in 2017. 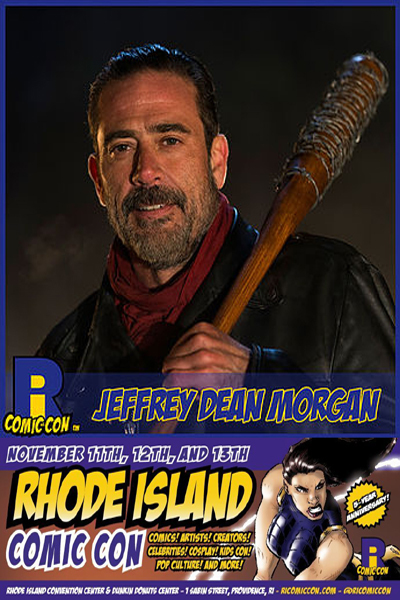 Next up, Jeffrey Dean Morgan, also known for his role as Denny Duquette on Grey’s Anatomy, John Winchester on Supernatural, the Comedian in the 1990 film, Watchmen, and is the newest antagonist on AMC’s The Walking Dead. Joining Morgan from The Walking Dead are Alexandra Breckenridge, Michael Cudlitz, Jeremy Palko, Josh McDermitt, and Christian Serratos. And last, but certainly not least, there's the lovely English actress, Kate Beckinsale. Known for her leading role as Selene in the Underworld franchise, Beckinsale has also appeared in Van Helsing, Total Recall, Click, Pearl Harbor, and performs the voice of Queen Ayrenn in the game, Elder Scrolls. 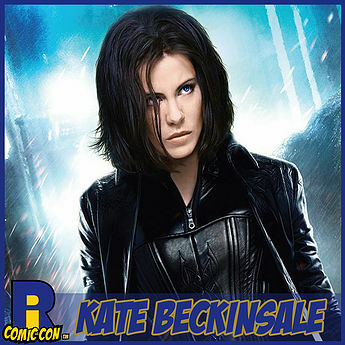 Joining Beckinsale from the Underworld movie is Kevin Grevioux, who is known for his role as the Lycan Raze. Now for any more information about the Rhode Island Comic Con, click on over to their official website, and while you're at it, follow them on twitter or facebook. Go on. Click-Click. As I promise you it will open up your world to the likes of gaming competitions, cosplayers, special events, panels, discussions, comics, nerds, artists, writers, actors, celebrities, musicians, as well as Wonder Woman, Bruce Wayne's Dad, plus that scary looking lady from Underworld. What: The 5th Annual Rhode Island Comic Con. Where: The Rhode Island Convention Center and Dunkin Donuts Center. When: The 11th of November through to the 13th of November, 2016. How much will it cost: For a 3-day pass it's $75 for adults and $30 for kids aged between the ages of 6 and 12. Daily admission is also available, from $30 to $45, depending on the day of purchase, as well as a VIP admission for $139. Attendees are strongly encouraged to buy their tickets in advance.